The causes of illegal immigration are the immigration rules in place now to enter the USA. These rules must be changed, as they just are not working now. Or there would not be so many illegal immigrants here now. 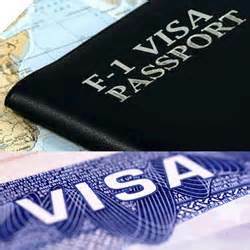 The most sensible way to fix the immigration system is to allow Immigrants to secure “THE CARD” in their home country before coming to the United States or they can without a waiting period enter the USA through a Customs/Immigration/Social Security Office by presenting a government photo ID, birth certificate and/or a passport. At this point the Official has the person to go through a medical check for diseases. Then the Official does a criminal record search through every criminal record system and terrorist watch list in the world that the US can electronically access. If the person in question has a record of a felony or worst or is on a terrorist watch list or are from one of The 57 States of the Organisation of Islamic Cooperation, see: http://www.oic-oci.org/oicv2/states for member states; they are refused entry. Note that “Islam teaches that Muslims must wage war to impose Islamic Law on non-Muslim states.” For those accepted to enter the Official then issues a combined five year numbered Immigrant/Guest Worker/Social Security photo ID card (hereafter known as “THE CARD”) that if, tamper with in anyway marks itself void. Without the “THE CARD” Hospitals and clinics could only provide emergency, life-saving treatments to illegal aliens. Once they are stabilized, they are to be returned to their native country. Also, without the “THE CARD” the person would not be entitled to any benefits, services or schooling. Plus, without the “THE CARD” they are not allow to have job. Again, without “THE CARD” – No Job. NO Immigrant is entitled to any form of entitlement or “Welfare” before becoming a U.S. Citizen. They must be available to self-sustain/support themselves right from entry. At the end of five years the immigrant should be allowed to go to an Immigration or Social Security Office to apply for US citizenship by showing an Official at the least a first grade level of reading, speaking and writing the English language. Also, REQUIRED a passing grade of 70% or better on a uniform Civics/History course so, the immigrant can assimilate into our society much easier. The Official also makes sure the immigrant does not have a felony criminal record. They are then granted US Citizenship. If, at the end of five years they can’t do first grade level English they are then deported. We should also allow the illegal immigrants already in the country now to also go to the nearest Immigration or Social Security Office and do the same as the ones above. The reason for this is there is no way this country can find all the illegal immigrants already here and return them to their native country. It would also cut the cost of finding them. And we would have a better idea of how many are here and they would then start paying taxes. All persons found not to have gone through the process of legal entry after a 2-year period from the date the program is started are to be deported as soon as possible. Then Congress and the States need to approve a new amendment to the Constitution to make English the national language. This makes sense, as one of the quickest ways for someone to assimilate into a society is to learn the language of that society. The local school boards must also realize that the only way assimilate a child into the schools and the USA is to teach them in English, not in their native language. This will cut the cost of educating the Immigrant by not having to employ interpreters in the classroom and the child would also have fewer problems with the other children in school. We must understand that there is NO WAY to completely secure our borders physically. But, building a tall and secure fence/wall on the southern border should funnel people thru Immigration offices at the border. But, how are we going stop them coming as a tourist? How are we going to secure entry by water? How are you going to stop people willing to pay to ride in a shipping container for two months or so to come here? How about the ones that come here on a legal VISA and then disappear? By the way, how’s the drug war going? By making it easy for them come and get the “THE CARD”, hopefully they should have no reason to come illegally, because without the “THE CARD” they are not entitled to any benefits, services or a job. Click here to read: How long is the immigration ‘line’? As long as 24 years. The following article Amnesty advocates ignore facts on crime, cultures, compatibility with Americans by Thomas Sowell and the thoughts contain in it should also be considered for the above idea on immigration. The Washington Times – Officials who run the Student and Exchange Visitor Program have deemed OPT to be a low-risk program, but the new findings suggest that may be wrong. Click here to read: After Alabama Immigration Law, Few Americans Taking Immigrants’ Work. Click here for more videos on Immigration. 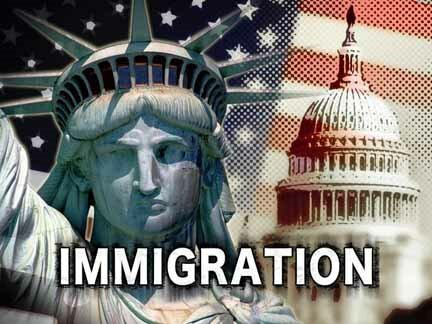 CATO – Many skeptics of immigration reform claim that immigrants and their descendants will not politically assimilate and will consistently vote for bigger government for generations.1 Political survey data suggest that this fear is unwarranted, as the political differences between immigrants and native-born Americans are small and, in most cases, so small that they are statistically insignificant. In the cases where the differences are significant, the descendants of immigrants rapidly assimilate into America’s political culture by adopting mainstream ideologies, political party identifications, and policy positions held by longer-settled Americans. The policy and political views of immigrants and their descendants are mostly indistinguishable from Americans whose families have been here for at least four generations. As a result of these small differences in opinion and the subsequent rapid assimilation of immigrants, they and their descendants are unlikely to alter America’s aggregate political attitudes.